Serving Halton and Peel Regions since 1988, Edwards Roofing Inc. provides residential roofing repairs, new roofing installations for custom homes and more. We also install and repair EPDM (flat roofing systems), skylights, siding and aluminum eavestroughs. We are based in Halton Hills and serve residential and commercial clients throughout Oakville, Burlington, Mississauga and Brampton. 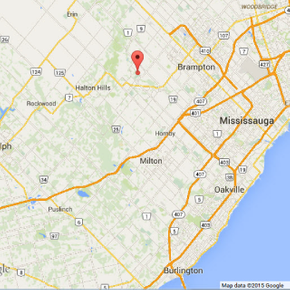 Owned and operated by Mark Lamb, our professional team is dedicated to the Halton Hills community. We are a family owned and operated business and a proud sponsor of the Halton Hills Minor Hockey Association. Please fill out the eform on this page if you would like a roofing estimate or have any other questions. We are happy to get back to you as soon as possible.